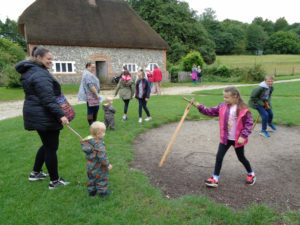 As the first outing of the Summer holidays, we took a double-decker bus load of parents and children to the Weald and Downland Open Air Museum on 26 July 2017. The Weald & Downland Open Air Museum is located on a 40 acre site near Chichester. It consists of more than sixty historic buildings rescued and reconstructed from across Sussex, spanning more than six hundreds years. In these buildings there are numerous interactive exhibitions and demonstrations of how these buildings were built and how our ancestors worked and lived in them. 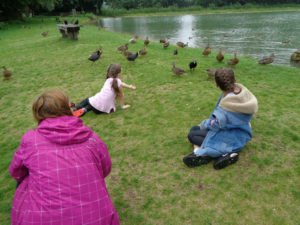 To know more about the Weald and Downland Open Air Museum place please click here. 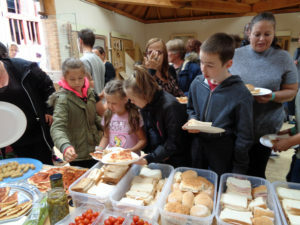 On 26 July we set off from CASE Central in Hollingdean at 10.30 am and we arrived at the open air museum shortly after 11.30 am. 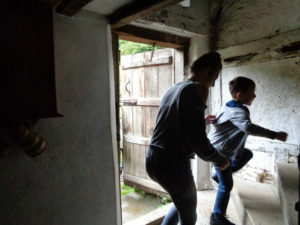 It was overcast and drizzling most of the day, but despite the weather there was plenty of things to do, and houses from Saxon times to the Tudor period to explore. 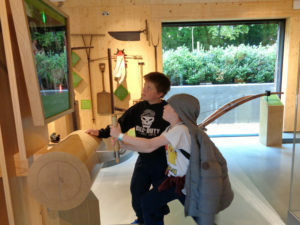 There were also demonstrations of traditional craft inside some of the houses and interactive exhibitions in the entrance hall. The most fascinating demonstrations of for the children were the blacksmith and the wheel wright. We had a picnic shortly after we arrived. Our guests then went off in many directions, to see the extensive grounds of the museum and its buildings. Parents and children explored houses, climbed to their upper floors, looked inside their ovens and wells. 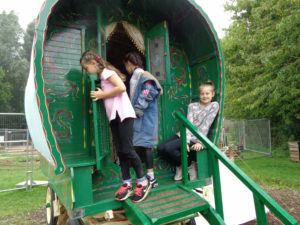 They visited old shops, which displayed their products from open windows, as well as original gypsies’ caravans and their camp compplete with bonfire. They admired medieval back yards and gardens full of flowers, including medicinal plants such as St John’s worth. They were intrigued by an old municipal hall and a small prison under its staircase. 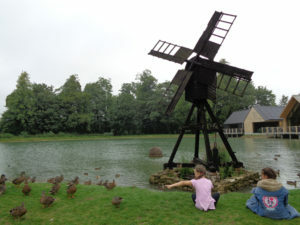 Some parents and children also sat on the grass by a large pond, admiring an old windmill and trying to feel hundreds of ducks roaming around. We then travelled back to Brighton by 5.00 pm.